Measuring change is hard. But it is also critical to programs hoping to influence human behaviour towards more positive societal outcomes. In a newly published paper, Does It Work for Biodiversity? Experiences and Challenges in the Evaluation of Social Marketing Campaigns, we tackle the challenge of evaluating social marketing campaigns targeting fishing communities in the Philippines with the goal of driving the adoption of more sustainable fishing practices at the community level. Research on impact evaluation is vital to improve implementation, particularly in high uncertainty high complexity environment such as those in which social marketing operates. By measuring our impact we can first ensure we do no harm and then learn what works, to improve with each iteration. This is even more pressing in the environmental context, as we have lagged far behind sectors such as public health or international development in impact evaluation. Therefore, our goal with this paper was to showcase how we can raise the bar on the evaluation of behaviour change efforts, in this case social marketing, in a particularly changing subject, that of fisheries management in the tropics. Our work focused on the evaluation of three social marketing campaigns in the Philippines, using a quasi-experiments design of match campaign and control sites. We measured both social indicators through surveys and biological indicators using underwater ecological surveys. We found limited evidence of behaviour change amongst fisherman and no evidence of change in fish biomass as a result of the campaigns. Yet, we also discussed the fact that this last result is fully expected, given how long fisheries take to recover, a timeline often measured in decades, not years. This has implications not only for the way that we plan and implement social marketing campaigns but also for donors who should be aware that expecting biological change in the often short project cycles may just be unrealistic. Moreover, our research hopes to highlight the difficulties of carrying out competent impact evaluations in a context where both social and biological indicators need to be measured and where both terrestrial and in-water data is needed. This has obvious implications in terms of cost, not only in terms of money, time and staff but also in terms of required technical expertise. Project budgets need to reflect this reality if we are to be truly evidence-based and take responsibility for the interventions we implement. After all it is not about success and failure, it should most of all be about learning. Visit the journal homepage to sign up for email alerts! While this piece highlights best practices for promoting water efficiency behavior in tourism accommodation, we focus heavily on the innovative applications of new and, in this case, past methods to aid in promoting social causes. With better tools, and use of them, we can collectively move Social Marketing forward. Additionally, the US, if not the world, has never been, in our lifetime, less in consensus on key issues. There is little question that the Delphi Method is a polarizing tool. Some scholars point to the small sample size or the subjectivity of opinion by ‘experts.’ Though we too hold a healthy skepticism of the Method and attempt to highlight these in the paper, we also see great opportunity for better standardizing the method to bringing people together in consensus. In particular, we appreciate how the Delphi Method honors the voice of the practitioner whom can, at time, be omitted from academic discourse. In this paper, we found the Delphi Method to be an effective tool for building consensus on prioritizing social marketing initiatives. However, we also believe that methods such as these have far reaching applications to current efforts. With this in mind, we look forward to reading of further ideas on applying this tool, and others, in improving the field of Social Marketing and efforts to better our world. Corporate social marketing (CSM) campaigns are used to improve the image of a wide variety of companies. Each CSM initiative is unique, but when it comes to companies in the alcohol industry, CSM campaigns seem to share a certain moral ambiguity. In sharp contrast to the other CSM initiatives, which demonstrate how an organization contributes positively to the community, similar campaigns for companies in the alcohol industry have drawn criticism for the way they promote “responsible drinking.” In their article, “Smokescreens and Beer Googles: How Alcohol Industry CSM Protects the Industry,” published in Social Marketing Quarterly, Sandra C. Jones of Australian Catholic University, Austin Wyatt of Swinburne University of Technology, and Mike Daube of McCusker Centre for Action on Alcohol and Youth delve into why CSM campaigns for organizations in the alcohol industry can prove to be problematic, particularly for the community. Corporate social marketing (CSM) is one of several initiatives companies can undertake to demonstrate their corporate social responsibility (CSR). While there are many motivations for CSR and CSM, all are linked to profit in some way, including promoting the reputation of the organization. While CSM is often seen as evidence of organizations making a contribution to their community, there are some industries whose CSM campaigns have drawn considerable controversy and criticism. This article discusses the role of the alcohol industry in developing and disseminating “responsible drinking” CSM activities. It discusses some of the problems identified with alcohol industry CSM campaigns—including evidence that industry education campaigns communicate ambiguous messages; improve public perceptions of the industry but do not discourage harmful or underage drinking; and divert attention from more effective approaches, such as controls on price and availability. The paper also addresses the issue of other CSM/CRM activities undertaken by the alcohol industry, such as encouraging consumers to purchase a brand by donating a proportion of the profits to health and social causes (including those that are exacerbated by alcohol consumption). It discusses the value of these activities for the industry and their potential negative impact on the health of the community. In summary, the evidence suggests that industry CSM and CRM activities protect the industry (from restrictive policies and declining sales) but may in fact be detrimental to the community. You can read “Smokescreens and Beer Goggles: How Alcohol Industry CSM Protects the Industry” from Social Marketing Quarterly by clicking here. Want to know all about the latest research from Social Marketing Quarterly? Click here to sign up for e-alerts! The 4th World Social Marketing Conference takes place in Sydney, Australia starting this Sunday. According to the conference website, the mission of the World Social Marketing Conference is to act as a vehicle to help build a global movement dedicated to capturing, spreading and nurturing good practice in Social Marketing, as well as increase the efficiency and effectiveness of Social Marketing practice at both operational and strategic levels. Keynote speakers include Ashfaq Rahman of the Social Marketing Company, author Joel Bakan, Roberto Venturini of the State Government of Victoria’s Department of Health and Human Services, and Adrian Bauman of University of Sydney. To celebrate the World Social Marketing Conference, we’re pleased to bring you the current top five most-read articles from Social Marketing Quarterly. These articles are available to read for free through the month of April. You can have all the latest research from Social Marketing Quarterly sent directly to your inbox. Click here to sign up for e-alerts! Social Marketing Quarterly is now on Twitter! Follow them at @SMQJournal. Calling for Papers on Corporate Social Marketing! Do you have research on the practice of corporate social marketing? Social Marketing Quarterly is accepting submissions on this topic for their Special Issue that will be publishing in March 2016! This issue will be guest edited by Nancy Lee, Founder and President of Social Marketing Services, Inc., and Sameer Deshpande, Associate Professor of Marketing in the Faculty of Management and member of the Center for Socially Responsible Marketing at the University of Lethbridge in Canada. How do social marketing efforts undertaken by businesses differ from those undertaken by governments and nonprofits? Under what market conditions and internal organizational conditions should businesses decide to undertake CSM initiatives? What criteria should businesses use when selecting a CSM effort to support? What ethical implications will a business and its stakeholders experience when it undertakes CSM efforts? What skepticism will a business face from stakeholders (especially the target audience) when undertaking CSM efforts? Manuscripts are due no later than June 30, 2015. For more information on this call, including how to submit, click here. Questions can be directed to Ryan Hollm, Managing Editor of Social Marketing Quarterly, at rhollm@fhi360.org. Want to know about all the latest news and research from Social Marketing Quarterly? Click here to sign up for e-alerts! Stephan Dahl of Hull University, Lynne Eagle of James Cook University, and Mustafa Ebrahimjee of the Leigh Primary Care Centre are looking at new ways to reach out to the over-65 population when it comes to physical activity. We had a chance to speak with Dr. Dahl about the paper, “Golden Moves: Developing a Transtheoretical Model-based Social Marketing Intervention in an Elderly Population.” Read some of his thoughts below and the full article in Social Marketing Quarterly here. There are many social marketing activities trying to increase physical activity as a major contributor to overall health and well-being. Surprisingly, only a few of these have targeted specifically people over the age of 65. 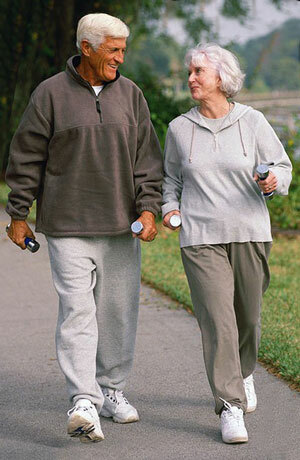 However, elderly people can benefit enormously from increased physical activity in general, or even by engaging in a structured exercise programme. Yet, elderly are also a specific target group, with quite different assumptions about and different needs in relation to exercise than younger target audiences. The study “Golden Moves: Developing a Transtheoretical Model-based Social Marketing Intervention in an Elderly Population” therefore examined how this particular group can be reached by social marketing – and how and by whom potentially successful messages regarding the benefits of more physical activity can be communicated to be successful. Using a grounded theory approach, and relying on two samples from two different parts of the UK, the paper shows a modeled inte rvention, based on the transtheoretical model of behaviour change, and how this can be put into practice. This article is free to our readers for the next month. Don’t forget to sign up for e-alerts to receive the latest research from Social Marketing Quarterly. Are Facebook Fan Pages Effective? Social marketers are out to create change—and there’s nothing like social media to spread the word to massive amounts of people. 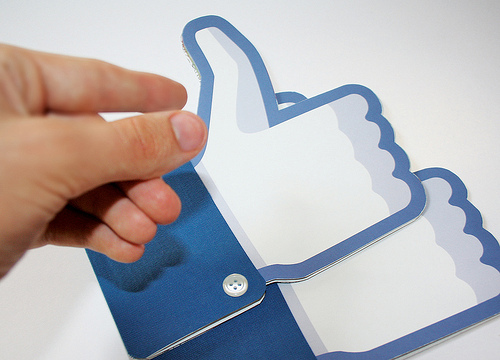 But beyond getting “liked,” does a Facebook fan page actually influence the way people think and behave? In the first SAGE-published issue of Social Marketing Quarterly (SMQ), Paige Woolley and Michael Peterson, both of the University of Delaware, examine the impact of a Facebook fan page on its followers. “Efficacy of a Health-Related Facebook Social Network Site on Health-Seeking Behaviors” was published in the March 2012 edition of SMQ. Click here to access all articles in this issue. The current study was designed to determine the impact of a health-related Facebook fan page on health-seeking actions, thoughts, and behaviors. Ninety Get Up and Do Something (GUADS) fans who were 18 years and older completed an online questionnaire about their perceptions, use, and reaction to a Facebook page. Results revealed the GUADS Facebook page prompts healthseeking actions by motivating fans to search for more health information online. The page positively influences health-related thoughts and behaviors by motivating and reminding fans to engage in healthy behaviors. Frequency of seeing, clicking, and reading GUADS posts was significantly related to health information seeking and health-related thoughts and behaviors. Results suggest that Facebook may be an effective medium to help individuals maintain and adopt a healthy lifestyle. To learn more about Social Marketing Quarterly, please follow this link. Are you interested in receiving email alerts whenever a new article or issue becomes available online? Then click here!